Merkur is most famous for its classic, old Vegas style slots, such as Triple Chance, and Extra 10 Liner. 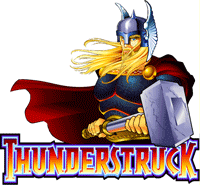 Merkur has since came out with more sophisticated slot games, with advanced gameplay, top-of-the line computer graphics, and a variety of bonus features and alluring payouts. Amazonia is a good example of these later generation Merkur slots. 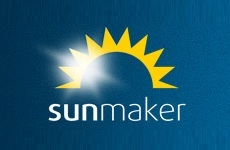 Like all Merkur slots, Amazonia is available exclusively on Sumaker online casino. Click here to play Amazonia now, or read this review to find out more. Amazonia takes place in the rainforests of South America. Symbols include exotic rainforest creatures such as the Chameleon, Frog, Parrot and Black Panther, and other rainforest related icons, such as the Waterfall, the indigenous Indian Lady and the Secret Temple. Additional symbols include the Usual J-K. The sophisticated visual effects in this new general Merkur slot are worth mentioning. I really liked the way the animals and other symbols come to life whenever a winning combination is hit. The jumping frog and the dancing Indian Lady are particularly nice. 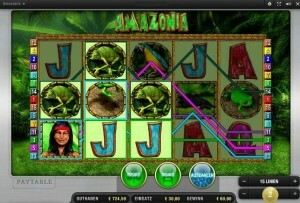 Amazonia is a 5 reel 15 payline slot. The aim of the game is to complete a winning combination of 2-5 same-symbols appearing on adjacent reels from leftmost to right across an active payline. While as a rule symbols must appear on adjacent reels, the exception is the Scatter symbol. While many slots offer a Scatter symbol , Merkur went even further in Amazonia, offering two Scatters. Both the Waterfall and the Secret Temple are Scatters. 2-5 Waterfall symbols anywhere on the reels constitute a winning combination and pays out according to the Paytable. 3 Secret Temple Scatter symbols, appearing anywhere on the reels, trigger the Mystery Bonus (see below). The Indian Lady symbol is a Wild symbols (much like the joker in card games), and substitutes for all other symbols, except for the two Scatters, to help complete a winning combination. Amazonia doesn’t offer “Hold” or “Nudge” options, thus spin result cannot be manipulated by the player. Players’ skill does play a role in this slot, when playing the “Gamble Ladder” game (see below). 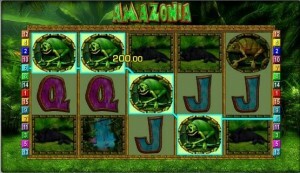 Amazonia includes an Auto Start feature, which automatically plays the game for the selected number of spins. The number of lines in this game is not fixed. The player can decide how many lines to activate, up to 15. The bet is per line. The player can adjust the betting level at any time, using the “+” and “-“ symbo at the bottom right side of the screen. The betting rang is €0.01-€2.00 per line (€0.01-€30.00 per spin). 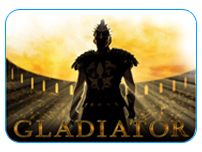 MaxBet automatically plays the game with 15 active lines at the maximum betting level. The number of active paylines, current bet per line and total bet per spin remain visible on the screen throughout the game. Gamble – the Gamble option is activated automatically after a winning spin. Two buttons, “GambleLadder” and “Gamble Card” appear on the screen. The Player can then choose to click Gamble Card, for a chance to double his wining, by guessing the color of the next card drawn from a deck of cards. Players can continue playing the Gamble Card option, up to a limit of €140, or until a no-win gamble is hit. In the Gamble Card option, the player can choose to bet only half, or his entire winnings. If Gamble Ladder is chosen, a stack of flashing bars appear on the screen, with different winning values on each bar, up to €140. The player can then try to increase his winnings by clicking on the Gamble button at the same time as the step with the higher winning value flashes. The player can skip the Gamble game altogether, by clicking “collect” to continue with the regular game. Free Games/Multipliers – a combination of 5 Panthers can win the player up to 6 free games and a multiplier of up to 5 times his original winings. The player is asked to chose one of the Panthers, with each Panther representing an unknown number of free games and multiplier. 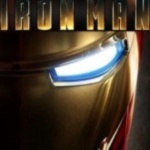 After the player chooses, the number of free games and the multiplier are reveled. Mystery Jackpot – a combination of 3 Secret Temple symbols wins the player a Mystery Jackpot. While it is relatively rare, when this combination is hit, the player can win up to €30. Amazonia is not a progressive slot game. The Paytable shows the payout for each winning combination for the current bet level. Five Indians will fetch the generous maximum jackpot of €20,000, when playing at the maximum bet level. The popularity of this game is no mystery. Amazonia’s sophisticated gameplay, variety of bonus feature and generous jackpots are incentive enough for any slots fun.